The planning system in England is underperforming and cannot demonstrate that it is meeting housing demand effectively, with almost half of local authorities having no strategy for meeting the demand for new homes, says a new report. 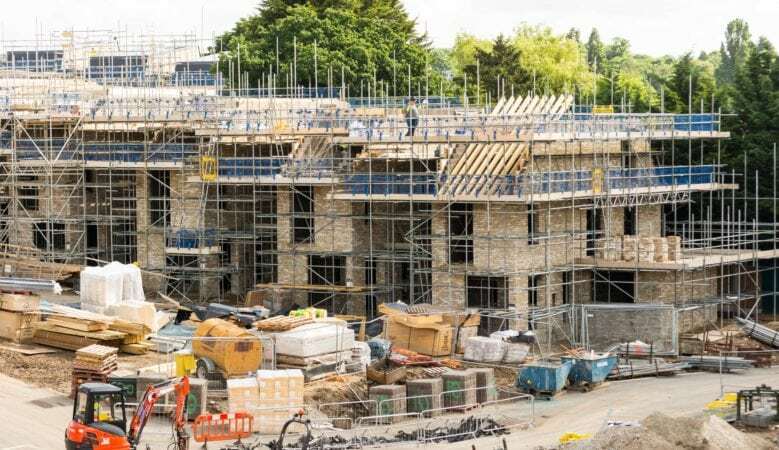 The damning assessment from the National Audit Office found that as of December 2018, only 44% of local authorities had an up to date local plan setting out their strategies for meeting the need for new homes, despite it being a legislative requirement. It also found that as of November 2018, the Ministry of Housing, Communities and Local Government (MHCLG) had only challenged 15 local authorities that do not have an up to date plan. The concern is that if a local authority can’t show it has a five year supply of land for housing, developers have greater freedoms to build where they want, risking ill-suited homes being built. The report also raises concerns about funding for the infrastructure to support new developments, such as roads, healthcare, and it says that as government departments are not required to tie their investment strategies with local authorities’ infrastructure plans, there is uncertainty about how some infrastructure will be funded. As a result the systems to get developers to contribute to infrastructure costs are not working effectively, with developers successfully renegotiating initially agreed contributions on the basis they will be unable to maintain profit margins. While the MHCLG is introducing reforms in this area, some will not take effect for several years, the report adds. The MHCLG has said that local authorities are increasingly processing planning applications within target timescales, but the report suggests that this might reflect a greater use of time extensions rather than increased efficiency and adds that the Planning Inspectorate is slow to determine appeals from developers whose applications have been refused and acknowledges its performance is unacceptable. The time it took to determine an appeal increased from 30 weeks to 38 weeks between 2013/2014 and 2017/2018. The Government has set a target of 300,000 new homes per year from the mid-2020s but there are concerns that this will not be reached. The report says that between 2005/2006 and 2017/2018 some 177,000 new homes per year were built on average and the number has never exceeded 224,000. To meet the target there would need to be a 69% increase in the average number of new homes built since 2005/2006. The number of new homes has increased every year since 2012/2013, with 222,000 new homes built in 2017/2018. In London 31,723 homes were built in 2017/2018 but this will need to more than double to meet what is necessary. The report also reveals that total spending by local authorities on planning functions, such as processing planning applications, fell 15% in real terms between 2010/2011 and 2017/2018 and the Planning Inspectorate has struggled to recruit, experiencing a 13% fall in staff between 2010 and 2018. While the National Planning Policy Framework, published in July 2018, is an important step in planning policy, the report suggests that it is too early to tell whether the changes it introduces will be effective. Alongside this framework, the Department needs to regularly monitor the gap between its ambition for 300,000 new homes and what is being planned. It needs to work with local authorities and other government departments to ensure that infrastructure is delivered more effectively, and work with industry bodies to conduct research into the skills gaps in local authorities’ planning teams. ‘For many years, the supply of new homes has failed to meet demand. From the flawed method for assessing the number of homes required, to the failure to ensure developers contribute fairly for infrastructure, it is clear the planning system is not working well,’ said Amyas Morse, head of the NAO. ‘The Government needs to take this much more seriously and ensure its new planning policies bring about the change that is needed,’ Morse added. The Royal Town Planning Institute welcomed the findings of the report which is said flags up many critical issues the Government needs to address to maximise the ability of the planning system and planners to help deliver its housing targets. This includes highlighting the fall in spending by local authorities on planning functions and the current skills shortages in local authority planning teams. ‘The RTPI has long campaigned for the Government to adequately resource local authority planning teams to deliver local plans and help deliver its targets for quality homes and infrastructure,’ said Sue Manns, RTPI vice president. Recent RTPI research found that under resourcing, coupled with reforms that have lessened planning’s strategic role, have relegated planning to a largely reactive, regulatory function in many local authorities, undermining planners’ ability to deploy professional discretion and proactive planning. ‘The RTPI has been taking measures to diversify and increase talent coming into planning through a number of initiatives including Government supported bursaries, and later this year we will be launching a chartered town planning apprenticeship,’ Manns explained. ‘We also support the NAO findings that the Government needs to continue to work closely with industry bodies to identify skills gaps in local authorities. However, filling those gaps will require resources,’ she added. RTPI chief executive Victoria Hills believed that chief planners need to be represented at the highest decision making levels of local government and that government departments need to align their investment strategies with local authorities’ infrastructure plans. ‘Our research showed that shockingly 83% of local authorities are now without a chief planner at the top table. Their reinstatement would be an important step towards providing the necessary join up between investment strategies at local government level,’ she said.